You must be 21 years of age or older to apply for a Texas License to Carry (LTC). You must have a valid government-issued identification card, such as driver's license from Texas or another state. You must meet all qualifications to purchase a handgun. 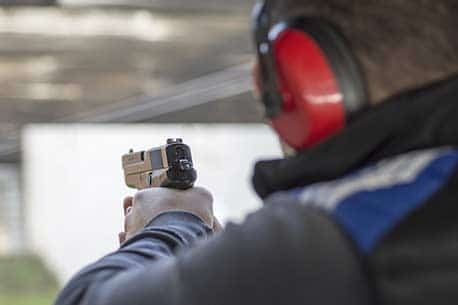 You must pass an approved classroom or online training course and demonstrate handgun proficiency shooting with a Texas qualified LTC instructor. Documentation showing successful completion of an approved gun safety class or training program*. You completed application (LTC-78A) for the Texas License to Carry a handgun and any other supporting documents. Note: In addition to the above requirements, out-of-state applicants must also submit a copy of their state driver's license or identification card, along with the LTC-6 form. Applicants who are born out of the United States must provide, in addition to the completed application, documents to support their legal status, such as Certificate of Neutralization, Permanent Resident Card, etc. Texas License to Carry a Handgun is issued on a non-discretionary ("shall-issue") basis to all eligible, qualified applicants by the Texas Department of Public Safety. The Texas License to Carry a Handgun is valid for four years. The application processing time for a new License to Carry Permit is up to 60 days from the date the DPS receives your completed application. Eligibility or accuracy questions may result in additional processing time, not to exceed 180 days. The fee schedule for new License to Carry permits also apply to license renewals. Applicants for a license renewal use a renewal application form. Renewals are administered within 45 days upon receipt of all necessary materials. Residents who are denied a License to Carry permit in the state of Texas may request an appeal within 30 days. A written request for a hearing must be addressed to the Texas Department of Public Safety at its Austin location. On receipt of a request for a hearing from a license holder or applicant, the department shall promptly schedule a hearing in the appropriate justice court or in the county of residence of the applicant or license holder. Take the Official Texas Concealed Carry Course Online! TheTexas Resident License to Carry Permit is issued by the Texas Department of Public Safety. You must be 21 years of age or older and a resident of Texas. For additional information about resident permit requirements, visit the Texas Department of Public Safety website. Texas allows non-residents to obtain a License to Carry permit. The Texas Non-resident License to Carry Permit is issued by the Texas Department of Public Safety. You must be a legal resident of another state or your must be relocating to Texas with the intent of establishing residency. You must be 21 years of age or older to apply for the permit. To apply for an out-of-state permit, you must submit an application (LTC-78A), pay the required fees, successfully complete the required training in Texas, and submit all supporting documents. Non-residents must also submit the form LTC-6, two passport-style photos, and a copy of their out-of-state driver's license or any other state-issued identification card. Applying for a non-resident License to Carry permit requires additional documentation. For additional information about non-resident license requirements, visit the Texas Department of Public Safety website. Texas recognizes concealed carry permits from more than 40 different states. The remaining states have no agreement with Texas, due to Constitutional Carry measures or other legislative policies. Texas does have CCW reciprocity agreements with many states. Around 31 states will recognizeTexas' resident permit at this time. Texas permit holders should always check the other state's reciprocity laws to determine if their Texas permit will be honored in that state. 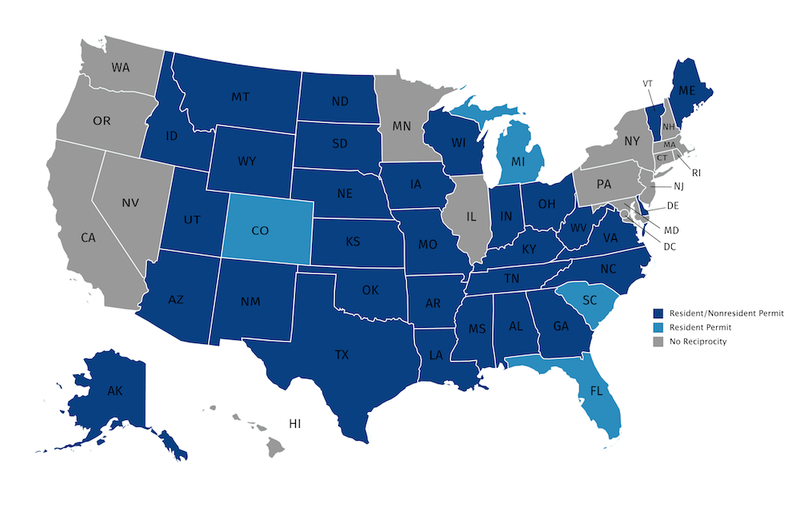 Concealed carry reciprocity maps display the states that honor a concealed carry permit or license from another particular state. While Texas recognizes concealed carry permits from every other issuing state, many states have tighter reciprocity laws. If you plan to carry a handgun in another state, make sure you check that state's reciprocity laws before doing so. To stay up to date on Texas reciprocity, visit the Department of Public Safety website. Since Texas is a Shall-Issue State, an applicant cannot be denied a license to carry permit unless he or she is disqualified under state or federal laws. Texas issues Resident and Non-Resident License to Carry Permits. A license to carry permit is not necessary when you are carrying a handgun in a personal, private motor vehicle or vessel. Whenever you transport a firearm, it should always be unloaded and secured in a case. Ammunition should also be stored separately. Never transport a firearm displayed in a gun rack. Refer to Texas state law for a complete list of regulations. When you no longer have the normal use of your physical or mental faculties by reason of drinking alcohol or taking any other drugs. We try to keep the information on this page as up to date as possible; however, we strongly advise that you verify this information with the Texas Department of Public Safety. The information on this page is for informational purposes only and not for the purpose of providing legal advice. Effective January 1, 2016, you can carry a handgun openly in the same places that allow the licensed carrying of a concealed handgun. The handgun must be carried in a shoulder or belt holster. Privately owned businesses may prohibit open carry or concealed carry. A notice can be issued via a verbal or written warning. A 30.06 sign prohibits concealed carry only. A 30.07 sigh prohibits licensed open carry only. For open carry in a vehicle, the firearm must be properly secured in a container or compartment within the vehicle. 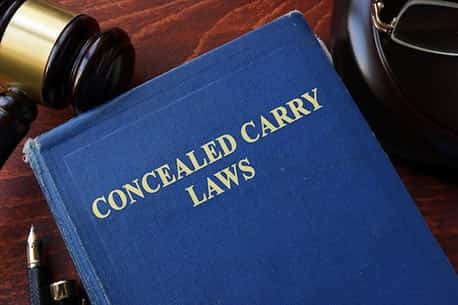 The container or compartment does not have to be locked, the firearm may be within the reach of the driver or a passenger, and the firearm may be loaded. 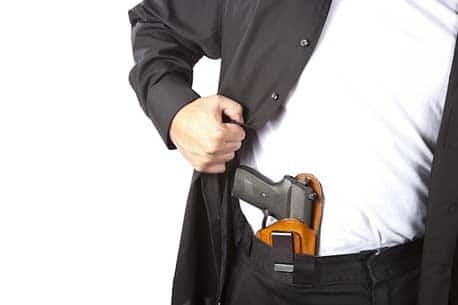 A licensed individual may holster the firearm. Texas generally prohibits intentionally, knowingly, or recklessly carrying a handgun in plain view in a motor vehicle. Texas has no laws regarding the carrying of long guns (rifles or shotguns) in motor vehicles.